How to boil rice are probably as many ways as there are those who eat rice … Here it is not unusual to rinse the rice and you’d rather have a little more stickier rice. While in some countries it is unthinkable to not rinse it. In this recipe, I have chosen to rinse it. But you can of course just as well to leave it alone. Water as it goes about 2 inches above the rice. Put everything in a saucepan. Let it boil up properly. Then turn off the heat and do not lift the lid. Let it stand for 20-30 minutes. Since the water has been sucked in and it’s ready to eat. Previous Post Garlic tips and event! So nice to see Indian recipe here, I always cook rice with all these ingredients plus a little oil, but in a slight different way. 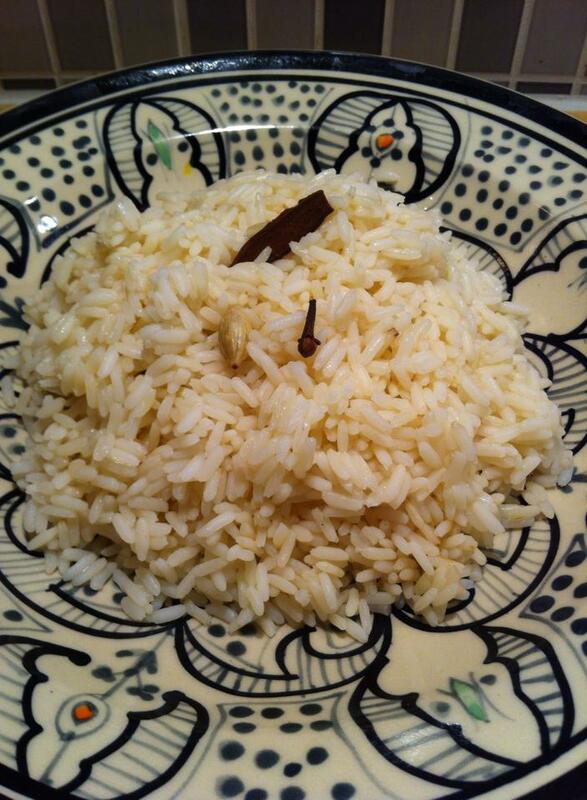 Heat a spoon oil and add all spices(cardamom, cinnamon, bay leaf, cloves) stir for 30 secs, then add water and rice. This enhances the aroma of spices.